A Harmony Nail Spa is your full service Beauty Salon, Day Spa, Beauty Bridal Specialist, Wellness Center & Specialty Gift Boutique, off the strip. Visit us at our Vintage Las Vegas Multicultural Location only 3 minutes from the Las Vegas Strip inside the Commercial Center District "World Village" at 953 E Sahara Ave. Over 150 Businesses & Restaurants to choose from. A wonderful & Historic Shopping Center off the strip since 1963, a True Las Vegas Original. A Harmony Nail Spa your Full Service Salon/Spa/Wellness Center. Hair Care, Mens, Women’s, Children Hair Cutting, Styling, Formal Updo's, Weddings, Bridal Hair and Makeup, Treatments and Chemical Services, Relaxers, Ethnic Hair Care, as well as Skin Care, Facials, Full Service Nail Care, Manicures, Pedicures, Spa Treatments, Body Treatments, Massage, Tanning, Make-up/Make-over. We look forward to continued success with you our loyal clients and to meeting and providing service for all new clients, whom we hope will appreciate our level of commitment to provide a total wellness experience in our petite Grand Day Spa. Nearly 2,000 sq. ft of luxury and style just for you our clients! 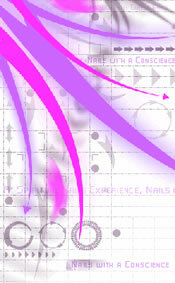 Here at A Harmony Nail Spa, we are sure you will find one of our services that will enrich your life. Only 3 minutes from the Las Vegas strip inside the Commercial Center District “World Village” at Village Square Bldg E, The middle of the plaza. Off the Strip Las Vegas, Near The Strip Las Vegas Nevada. We specialize in both traditional and alternative beauty and total wellness services. Walk-ins and tourists are always welcome. Visiting Vegas, Set Up an Appointment Now! Our cozy facility provides Beauty Salon and Day Spa Services in Harmony Hollow Studio, a Whimsical Cottage Setting in a far away place, from the stresses of everyday life. Relax in Our famous "Buddha Hand" Pedicure Thrones, your feet are comforted by silent Jacuzzi pedicure jets, massage for your thighs, back, and neck. We provide a complete selection of beauty & spa services as western technology meets eastern Feng Shui design in a calming atmosphere with a professional and caring staff to serve your every need.